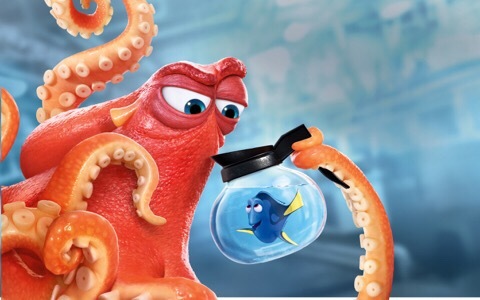 I definitely like the look of Hank the octopus and Piper is just so adorable!!!! I laughed hysterically when the sea lions on the rock suddenly started barking at that 3rd sea lion! I foolishly didn’t – next time! 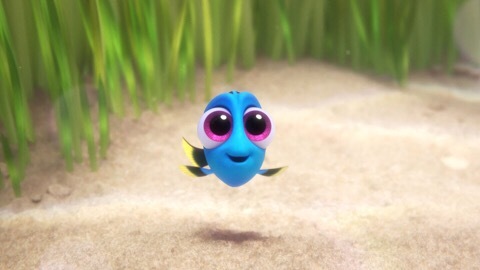 One thing about animated movies…The “stars” alwys get credit for “Lending their voice” to the project. Didn’t realize they didn’t get paid. The actors usually come across as so righteous. They try and give the impression that it’s all a lark and they do it for the fun of it. I don’t know what the big deal is. Doing that kind of work is not,by any means,easy so they might as well take credit for their performance. Maybe they think no one takes them seriously because it’s a cartoon….uhhhhh..I mean an animated feature. Glad you liked this. I don’t know if I will ever get to it, being an animation and all. The fear I felt for Piper was huge!! I really enjoyed this one! Sounds like it’s about time Pixar stopped making sequels. I can see why they started, but it hasn’t worked out. I mean, they struck utter magic when Toy Story 2 was better than Toy Story, and achieved the virtually impossible by making Toy Story 3 just as good, but other than that… Okay, they’ve only made 3 sequels other than that, and I’ve only seen 2 of them, and Cars 2 isn’t helped by Cars being pretty rubbish to begin with… but still. They’re just tempting fate trying to do Toy Story 4. I was excited for The Incredibles 2, but now I’m wondering if it’s going to be a lesson in “be careful what you wish for”. Yeah, the Toy Stories were all so great so I’m glad they all exist. But, other than those, sequels can sometimes ruin a fantastic original film. Both Dory & Monsters Uni don’t exactly HURT the originals but the first films are just so much better. I’d probably have been happier if neither of those sequels existed. As you say, though, the first Cars was pretty rubbish anyway so I didn’t care that there was a sequel. 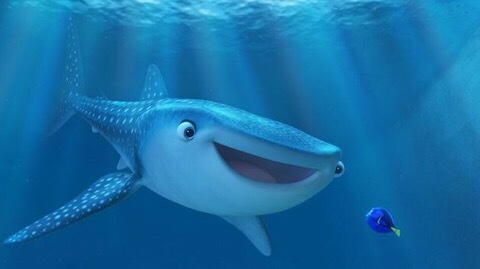 I dunno – I love Pixar & it’s fun seeing favorite characters again but the sequel thing feels like an easy way to make money & something that other, not-so-good animation studios do. Pixar should be above that! They always talk about how they only do sequels if they have a good artistic idea for them, but that’s beginning to feel more and more like spin — especially as it’s pretty well known that the only reason Cars sequels exist is because the toys sell really, really well. I wonder if Pixar are beginning to realise this too, though. They’ve still got 3 more sequels lined up, but it feels like they’re backing away from them after that. Or maybe it’s just they haven’t announced that far in the future yet! Wanna see this, but Netflix for me. Now I’m glad I didn’t go see this one in cinema. 🙂 Though I’m not sure we would agree on this one as I loved Lava. 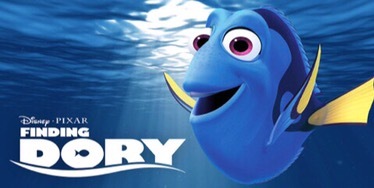 Well, Dory is at least worth a watch at home. But maybe you’ll love it! 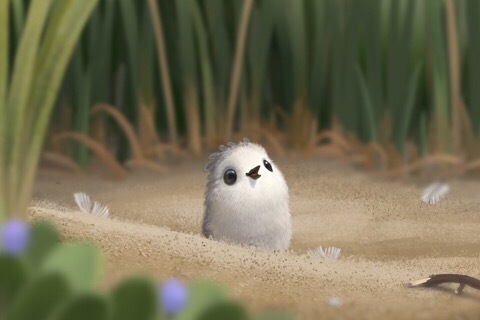 : ) It was still Pixar & pretty sweet overall. 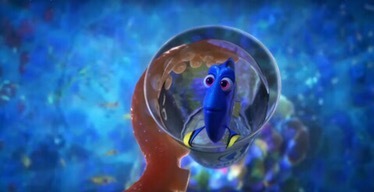 I think it is interesting that you say it is like watching an Inferior Finding Nemo. 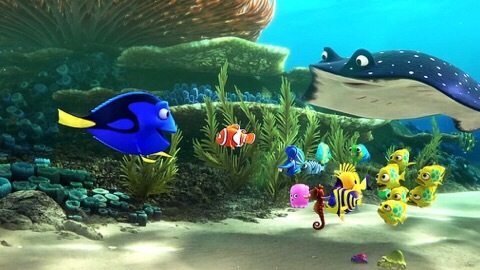 In the U.S., everyone was constantly saying it was better than Finding Nemo. Neither one looked interesting to me. I eventually saw Finding Nemo at someone’s home. It was better than I expected. But the trailers for it NEVER did it justice.